Nearly 400 scientists have signed a letter urging President Obama to eliminate the possibility of Arctic offshore drilling in the near future by taking the Arctic Ocean out of the next federal offshore lease sale plan. 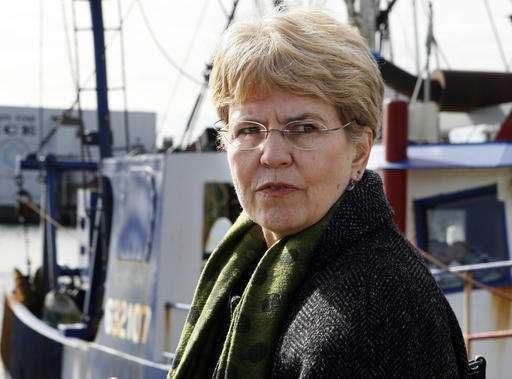 The scientists include Jane Lubchenco, Obama's former administrator of the National Oceanographic and Atmospheric Administration, now a researcher and teacher at Oregon State University. "I've witnessed some of the unprecedented changes underway in the Arctic" Lubchenco said in a prepared statement. "Conserving important marine areas is an essential step in sustaining the region's resilience." The 388 signees include scientists from 13 countries and 25 current or emeritus professors at the University of Alaska. Their opinion runs counter to Alaska elected officials, who strongly support opening Alaska waters to drilling as a new source of oil for the trans-Alaska pipeline. The Interior Department is collecting public comment through Thursday on the proposed 5-year oil and gas leasing program, which would cover 2017 to 2022. John Callahan, Alaska spokesman for the Bureau of Ocean Energy Management, said by email the agency has received about 481,000 comments on the entire proposed program. The number targeting Arctic waters had not been tallied. Environmental groups strongly oppose Arctic drilling. They say industrial activity will harm marine mammals already hurt by a loss of sea ice and that global warming will be accelerated by burning oil found in the Arctic Ocean. Two sales in Arctic waters are in the plan: the Beaufort Sea, off Alaska's north shore, in 2020, and the Chukchi Sea, off the northwest coast, in 2022. The letter was released by Pew Charitable Trusts. Pew's Arctic science director, Henry Huntington, said the Obama administration has been clear that it wants decisions to be science-based. The letter is a chance for scientists to weigh in on decisions in the Arctic, a region that's rapidly changing. "It's hard to know what's coming next, so caution is a good idea," he said. The White House and the Interior Department, said Gov. Bill Walker in an email message Tuesday, will be subjected to incredible pressure to make the lease sales so restrictive that it makes little sense for companies or the state to participate. "We can protect the ocean and develop," Walker said. "The whaling captains we have talked with tell us it is important to move forward with development. Their communities depend on it. They also believe they can balance development with their subsistence way of life." Interior Secretary Sally Jewell in October canceled Beaufort and Chukchi lease sales in the current five-year plan She cited market conditions and low industry interest. Her decision followed a Sept. 28 announcement by Royal Dutch Shell PLC, the only company in the last decade to drill in federal waters, that it would cease exploration in the Chukchi and Beaufort seas after spending upward of $7 billion. The company cited disappointing results from a well drilled in the Chukchi and the unpredictable federal regulatory environment. Alaska's all-Republican congressional delegation, Rep. Don Young and Sens. Lisa Murkowski and Dan Sullivan, last month urged Jewell to retain future Arctic lease sales. The Chukchi and the Beaufort hold an estimated 23.6 billion barrels of conventionally recoverable oil—enough to meet all of California's demands for oil for 37.5 years, they said. Drilling was proven safe though dozens of wells in the 1980s and '90s, they wrote. 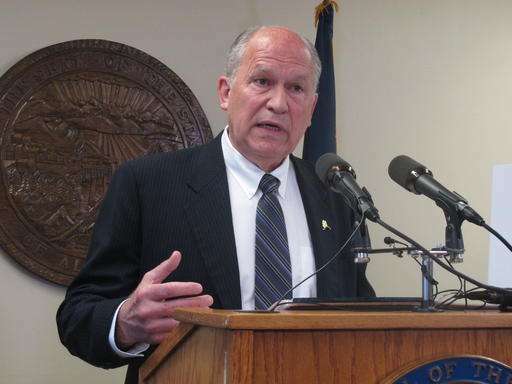 "We must warn against any attempt to use past lease sale cancellations and the chaotic regulatory regime that Interior has imposed as evidence of a 'lack of industry interest' in offshore Alaska," they said. Consider runaway albedo-loss heat-gain = 0.21-watts/m² global forcing; ~20-years of CO2 forcing a direct heating not reflected LWIR. Most of the Arctic sea-ice is now fast-ice only a year old. The Beaufort Sea is "rotten ice" new to the Inuit & science, Unv. of Washington Applied Physics Lab cored it by hand last fall. It's the last vestige of an area where 40% was 4-9 year-old ice, that area's albedo goes anytime, it can be from weather now to clear it out. A main issue is that humanity cannot use carbon sequester to reduce CO2, it stays high many millenia. We entered a geologic "excursion" from a massive carbon "perturbation", 3-ppm last year, so much the oceans acidify 10x faster than the PETM the proof being in an excursion pathway. Thus sequester only sets how high sea-level goes and how hot it gets centuries later. Arctic sea-ice is the observable tipping point, gone for 180,000-yrs to lose it.